The Emerging Artists Development Program [EADP] worked with referees from the Special Circumstances Courts in Brisbane and up until the end of the program in 2017, ran mostly on “less than average” funds for year. Begun in 2005 provided a more than average kick start to some young artists, with some graduates finding work as artists and designers and others selling their art work to buyers in Australia and overseas. The program ran as a mentor and relationship based program and aimed for the participants to produce a body of art work for a “Favella” exhibition and to expand their arts skills into canvas work, screen printing and drawing. Personal growth and development was always part of Jugglers commitment to these young men and our networking with the Special Circumstances Court and other youth agencies built on our common values. 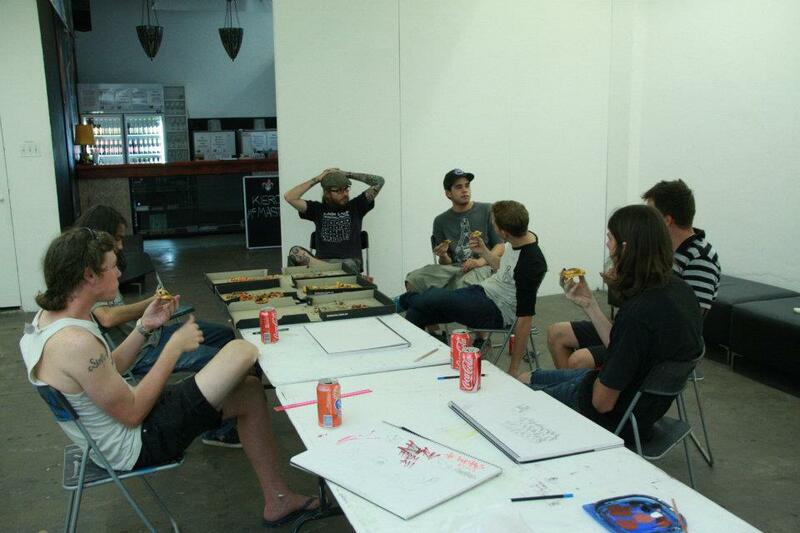 This was a unique program that has gave leadership in the arts and social services sectors in Brisbane and played a significant part in the development of young men, the growth of emerging artists and a positive application of the rule of law through the judicial system.